I was introduced by my family to the world of adventure and canoe expeditions at an early age while exploring the Ontario lake systems. In 2000 I took my first whitewater guide training program and I have never looked back. Although raft guiding has allowed me to travel through North America, South America, Australia and New Zealand, my heart always sat with the warm big water of the Ottawa River in Ontario, where I spent the majority of my guiding career. 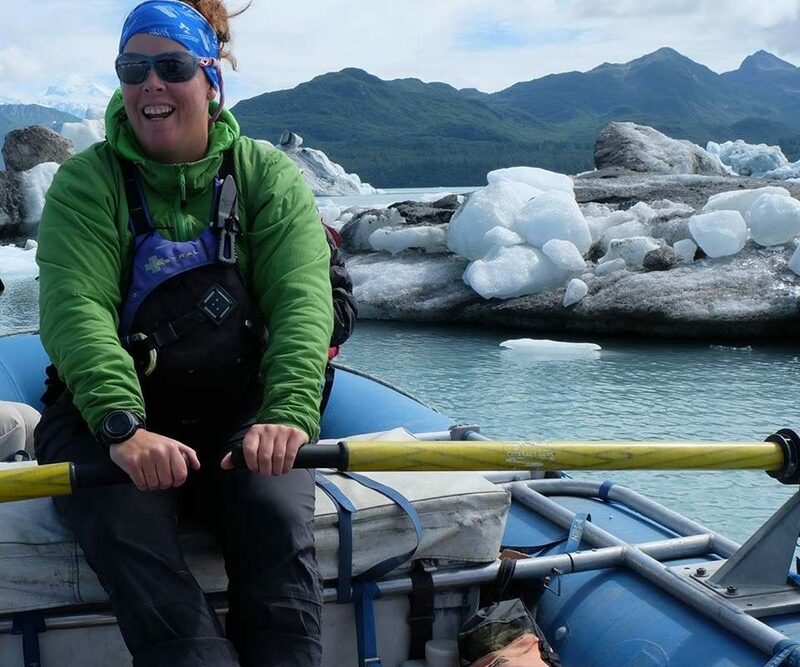 It is not just the big water that I find so attractive about guiding: I love meeting people, the adventure, the great food, incredible wildlife, and the sense of remoteness. My career has turned full circle, returning to expedition guiding. After guiding trips on the Grand Canyon section of the Colorado river, I found myself itching to explore Northern Canada and am now honoured to guide for NRA/CRE. In 2018 I guided on the Alsek River, and I was blown away every day, and every river bend. I am currently living in central BC, where I spend most of my time exploring the mountains, trails, and rivers with my husband and our little homemade adventure buddy (our son Rhys). I often dream of the midnight sun and am always excited to return to the North for more adventures!